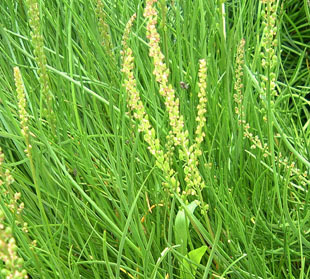 Flowers are on long, slender spikes. 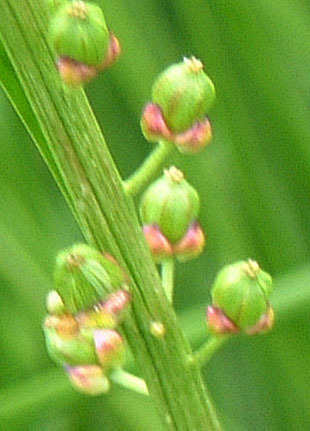 The 6 perianth segments are purple edged. 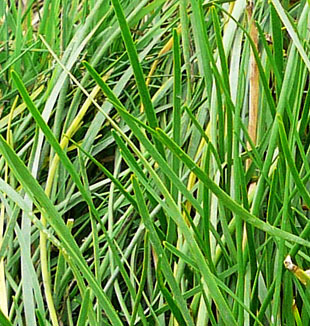 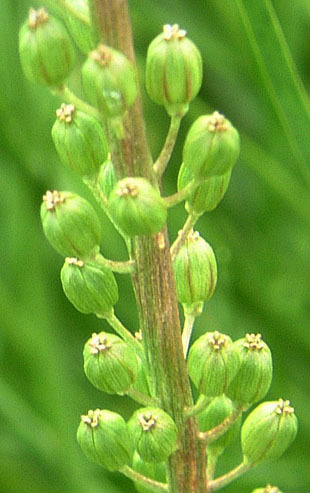 Fruits are fatter than in Sea Arrowgrass.